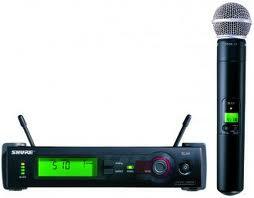 The Shure SLX4 is a UHF wireless microphones receiver, designed for use with the Shure SLX wireless microphone series. 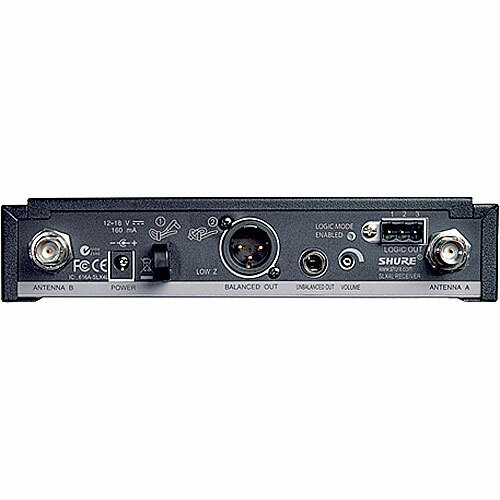 The diversity design allows dual receiver circuits and antennas to compete for the strongest possible reception. XLR microphone level, and 1/4" phone line level outputs are featured. A comprehensive LCD display provides Frequency, Group and Channel information as well as transmitter battery status, audio level and more.